Paul Alan Finebaum is a famous sportscaster currently working for SEC Network. Known for his appearance in SEC radio program and TV shows, Paul Alan Finebaum is working SEC, Charlotte, North CA, since 2013. The resident of North Carolina, Paul Alan Finebaum, reportedly earns around $72,018, as his yearly salary from the network, and as of 2018, he reportedly has an estimated net worth of over $2 million. He is currently married to his longtime girlfriend Dr. Linda Hudson but there is no information regarding their children. 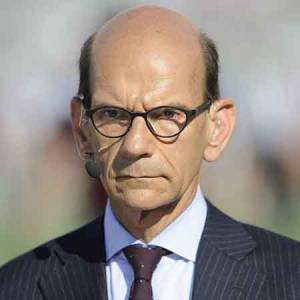 Paul Alan Finebaum was born on July 26, 1955, in Memphis, Tennessee, the U.S. to Benjamin Finebaum and Gloria Filderman. He holds an American nationality and belongs to the white ethnic group. Further, Paul Alan Finebaum grew up with a sister named Pam Finebaum. Paul Alan Finebaum after graduating from Christian Brothers High School in Memphis joined the University of Tennessee and acquired his Bachelor's degree in Political Science in 1978. Finebaum has his hands in different professions, as is involved in a Broadway industry, News reporter, radio anchoring, television reporting, and also involved in writing. 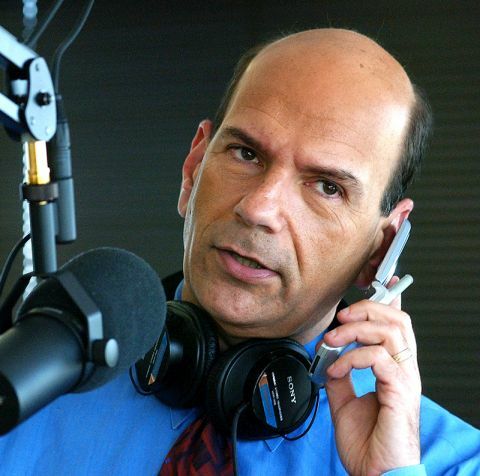 Finebaum started working for WAPI-FM in the mid-1980s on the Mark and Brian Radio Show. His show was pretty popular among fans. After that, Finebaum started to work on show related to sports on WERC. Finebaum launched his own radio show The Paul Finebaum Radio show affiliating to WJOX. On his show, he interviewed Randy Owen in late May 2011 which he states was the most memorable and meaningful program they have ever done. On January 21, 2013, his contract with Cumulus and WJOX expired and then he signed a contract with SEC Network and started hosting a daily radio show. Finebaum also appeared in different television shows as WBRC as a sports analyst, as a sports director in WIAT-TV and ABC 33/40. He nowadays is a frequent guest on ESPN’s program Outside the Lines. Finebaum also got a leading role in ESPN’s documentary Roll Tide / War Eagie and then as per his contract with ESPN, he started working on SEC Network from 2014 and was a regular on different programs on ESPN such as SportsCenter, College Football Live, and other similar sports-related shows. Finebaum has also published a few of his books which includes “I Hate Michigan:303 Reasons why you should, too” and "The worst of Paul Finebaum". Paul Alan Finebaum is one of the most popular SEC Network anchors who made a successful career as a sports anchorman. As SEC Network is owned by ESPN Sports Network, it is well known for paying a heavy amount of salary to its sportscasters. As Paul Alan Finebaum is a regular SEC Network anchor, he earns a decent amount of salary from the network. The American sportscaster/anchor Paul Alan Finebaum has an estimated net worth of $2 million. The reporter receives an annual salary of $72,018 from his successful reporting career with SEC Network. Further, SEC Network reporter also receives an added sum of money from his radio and TV guest appearances. He currently, lives in North Carolina, along with his family, and has a beautiful home there. Paul Finebaum is married to Linda Hudson who by professional is a Doctor. They currently reside at North Carolina, USA. They have been married for a very long time but there is no information about whether they have got children or not. Paul Finebaum has been awarded the prestigious Sports Emmy award twice. He was also honored by the title of ‘Best National Radio Voice’ in 2012. Besides that, his show has also won “Let’s Do it Better! Workshop on Journalism, Race and Ethniciy’ award in 2008. He was ranked 17th amidst the 20 most powerful people in Sport Media on March 6, 2013. Finebaum was called as the #3rd most influential people SEC reporters in July 2015 and was ranked as no. 1 SEC reporter by the “Saturday Down South”. In Januray 2017, he was ranked 25th on a list of The 30 most powerful Talents in Sports Media. He is 63 years old. He won two Sports Emmy awards. He is married to Dr. Linda Hudson.